Can’t be too similar to another business/organization name in Alabama. Should align with your domain name. Doesn’t need to contain a suffix. Your nonprofit’s name should concisely communicate your mission to the world. Before folks hear anything else about your brand, they’re going to hear its name, so make sure it’s memorable. First, do a name search to find out if your ideal name is available in Alabama. If it is, head over to GoDaddy and check out what domain names are up for grabs. Once you’re pleased with your brand name and domain name selections, go ahead and secure both of them. Unlike most other states, Alabama requires you to file a name reservation request for your brand name ($28 online or $10 by mail). In fact, you’ll need to include a copy of your request form along with your Certificate of Formation. Reserving your domain name isn’t a legal requirement, but it’s a wise idea to lock one down, even if you aren’t planning on creating a website right away. Before you can officially form your Alabama nonprofit, you need to appoint an initial board of directors and an Alabama registered agent. When deciding on initial directors, make sure to choose folks who are passionate about your mission, somewhat business-savvy, and willing to invest time and money to reach common goals. Sure, this initial board may be temporary, but they could still have a significant impact on your organization in its early stages. Alabama does not clearly stipulate how many directors you need on your nonprofit board, but the Certificate of Formation includes space for 3 names. Note: A minimum of 3 directors is also required for IRS tax exemption, so this number seems to be the sweet spot. … it’d be in your best interest to delegate the job to a professional. If you or one of your directors is considering acting as your organization’s registered agent, read over our registered agent guide first to get more details on what you’re signing up for. Alternatively, if you’re leaning toward hiring a professional, check out Incfile. They offer free registered agent services when you form your nonprofit with them. This is a big step for your nonprofit. 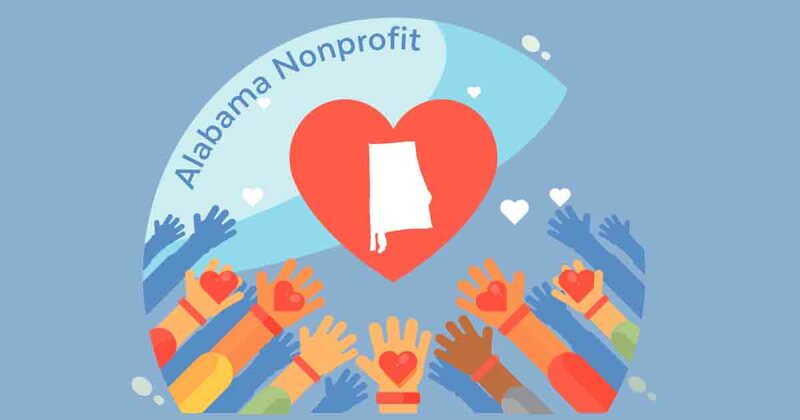 Once you file your Certificate of Formation, you’ll officially be recognized as an Alabama nonprofit corporation. You may also be able to pay by credit card, but check with your local Judge of Probate’s office before you provide this information at the end of the form. Although you’ll make your payment to the Secretary of State, you’ll actually submit everything above to your Judge of Probate for evaluation. Next on the agenda is getting your EIN (Employer Identification Number). An EIN is like a social security number for your nonprofit. It’s the federal government’s vehicle for keeping track of your financial activity -- and trust us, they’re going to keep a close eye along the road to tax exemption and beyond. You can easily apply for an EIN via the IRS online application. This method is totally free and super efficient -- you’ll get your EIN as soon as you complete the application. Keep in mind, however, that if you end up using a super-comprehensive nonprofit formation service, you may not actually have to apply for an EIN yourself. Many of these providers’ pre-bundled packages automatically include EIN assistance. All of these documents, and more, will have a safe home in your corporate records binder. You also have the option to invest in a nonprofit corporate kit, which would include extra pieces like a custom seal, membership certificates and beautifully printed bylaws. Since your nonprofit won’t need all the same goodies that for-profit corporations get in their corporate kits, we recommend seeking out nonprofit-specific ones. Blumberg and Bindertek both offer kits and binders specifically designed for nonprofit corporations. If you don’t feel like you need any extra frills, you can always swing by a local office supply store and see if you can get a better deal on a simple professional binder there. Again, corporate kits aren’t legally required, so it’s up to you to decide what features would most benefit your organization. Grab your corporate records book and rally your directors -- it’s time to conduct your first board meeting! You’ll also nail down your nonprofit bylaws at this meeting. Your bylaws will serve as the governing document of the organization. Having thorough, well-rounded bylaws will not only help you achieve tax-exempt status, but also guide your nonprofit in the future. They’ll allow your board to prevent disputes, or resolve them promptly. If all of this sounds foreign to you, don’t go into this meeting blind. A great practice when you’re writing your bylaws or recording meeting minutes is to work off of a template. Rocket Lawyer offers free templates specifically for nonprofits, which is great since the leadership/ownership structures of nonprofit and for-profit corporations are quite different. Take a look at their bylaw templates and meeting minute templates. The next step is to take care of any permits, licenses and taxes required of your Alabama nonprofit corporation. It may be that you only need a general license, but depending on your nonprofit type you may be obligated to fulfill several requirements on a federal, state and municipal level. Federal: You’ll find all the links you need to learn about and apply for federal permits and licenses on the Small Business Association website. They also have some helpful information on federal business taxes, but the best resource for tax information is the IRS website. State: The Alabama Department of Revenue website outlines all state-specific business taxes and licenses. Their FAQs page is a fairly thorough resource for quick answers to any questions you may have. Local: You’ll need to contact your local Chamber of Commerce to find out what requirements are unique to your locality. Do some initial digging using the links above. If you find that this step is simply too complicated for you to do on your own, you might look into using a business license service. These companies will do all the research on your behalf and send you the necessary forms ready to be signed. Different banks have different characteristics in each of these categories, and it’s important to find the right balance based on your organization’s needs. Depending on your nonprofit’s priorities, a local or a national bank could be your ideal scenario. Do some research on both, starting with our top 5 business bank accounts reviews. Compile a short list of options and get contact with their customer service, either on the phone or in-person. Ask about what perks, if any, they offer, and find out what documents you need to bring to setup an account with them. Once you’ve settled on a bank and opened your account, sync it with an accounting software right away. Especially as a nonprofit, it’s incredibly important to keep, and be able to prove, orderly finances. Each year you’ll have to file an annual return with the IRS, and if it isn’t done properly you could come into issues. 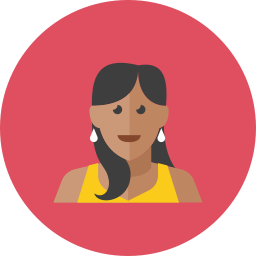 So, be proactive -- check out our accounting software recommendations!